We stock the Agrivite range of supplements for poultry, we do not use millions of products with all kinds of claims. We keep it simple, and use tried and tested (by ourselves) products. 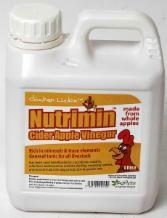 If there is one product worth it's weight in gold, it is Cider Apple Vinegar. These blocks are perfect boredom preventers for poultry who are required to live a more confined lifestyle, where their ability to scrat and glean for food may be restricted, these products are excellent for allowing mental stimulation for your confined hens. Contains: Grit (aid digestion), Oyster Shell (egg shell quality) and Maize (lovely treat). Collect from our stores or visit our Ebay Store and we can deliver to you! Before buying any of the supplements we supply, please consider your management regime in relation to your poultry. Supplements are powerfully effective at keeping a healthy bird exactly that, healthy, but all part of a good management routine. If you would like help in regards to the most suitable management routine, please ask, we are more than happy to help you and your birds. For more products please see our EBAY Shop thank you!